2013 marked the end of the era. 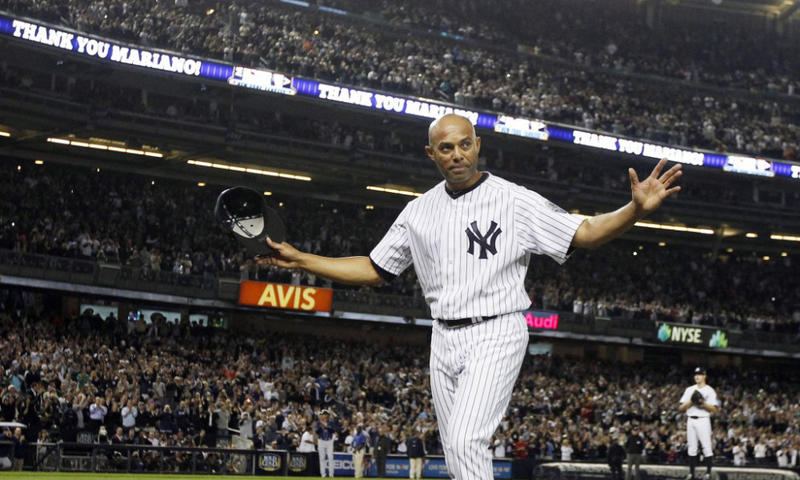 The incomparable Mariano Rivera decided to make that season his final one, leaving behind a legacy that sees him as the greatest relief pitcher in Major League history. Unfortunately, like Derek Jeter the following season, the New York Yankees could not give him one final October to shine. So it was the All-Star Game on July 16th that represented Rivera’s last great moment on the National stage. The Midsummer Classic did take place in New York, albeit at Citi Field, the home of the New York Mets. Deciding when to use the great Mariano would be a conundrum for American League manager Jim Leyland. It would have been nice for Rivera to actually save the game (which the AL did win by a score of 3-0) but what if the National League had the lead by the time the ninth inning rolled around? Leyland decided to bring in Rivera for the top of the eighth inning. What happened next was magical. The AL players did not go out to their positions when it came time to go into the field. Instead, they and the rest of the teammates along with the entire NL squad, stood at the top of their respective dugouts and gave Rivera a long ovation. It was truly one of those moments you had to see to believe and one of the most touching moments you will ever see on a playing field. Then Rivera did what he had done so wonderfully for 17 years. He set down the side in order; Jean Segura grounded out, Allen Craig flied out and Carlos Gomez grounded out to end the frame. And that was it, the ninth and final appearance of the great Mariano Rivera in All-Star competition was over in a blink of an eye.